Saskia UppenkampFlatiron Health cofounder Zach Weinberg has a simple system for setting his priorities. Zach Weinberg is the cofounder of Flatiron Health, which sold to Swiss healthcare giant Roche for $US1.9 billion. He has a simple three-part checklist for determining how to set his priorities. 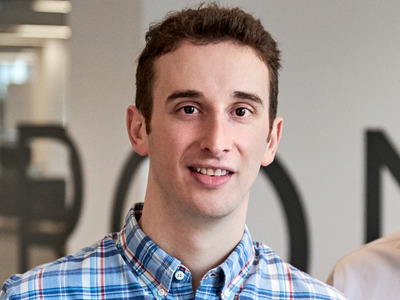 As the COO of Flatiron Health, Zach Weinberg oversees product development and recruiting efforts at one of the hottest startups in the healthcare industry. Weinberg and Flatiron CEO Nat Turner founded the company, which makes software for cancer treatment centres, in 2012 and made a deal with Swiss healthcare giant Roche for $US1.9 billion in February. An important part of the deal was keeping Flatiron independent, but now the cofounders are taking it to scale. And on top of that, they’re also angel investing in promising startups. We recently spoke with Weinberg’s cofounder Turner for Business Insider’s podcast “Success! How I Did It,” where we discussed their 15-year partnership and how they realised that purpose-driven businesses are more successful.